Ski touring is making a comeback. It is attracting a new breed of people who are looking for a more ecological approach, where they can experience the wilderness in the mountains. The resort has adapted to this new trend with several suggested itineraries to explore and enjoy. 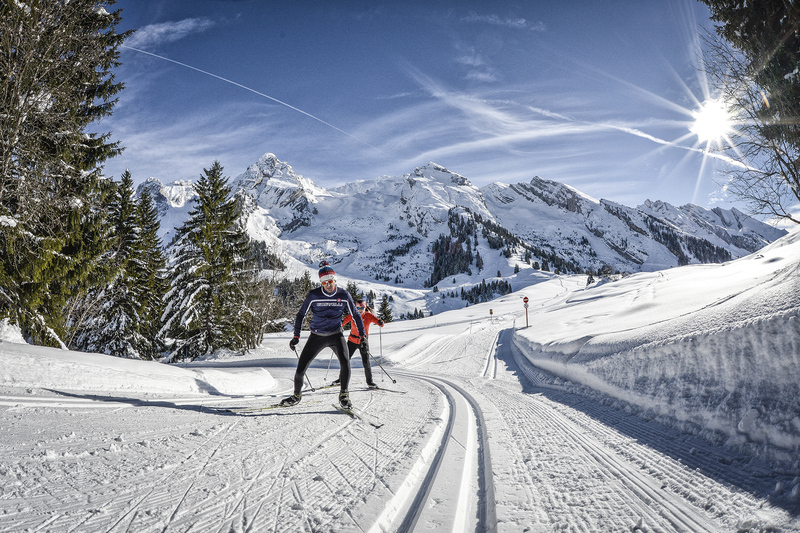 Nordic skiing has become popular again. The sport ticks all the boxes in the current trends of getting in shape through exploring nature. It is an authentic, ecological, and also a highly effective sport. The major advantage of this time-honoured sport is its location in the heart of the natural environment, silent and untouched. The perfect activity to switch off from daily life and get away from it all. Snowshoe walking gives privileged access to areas the skiers can’t get to where you can enjoy the silence and overwhelming natural beauty. 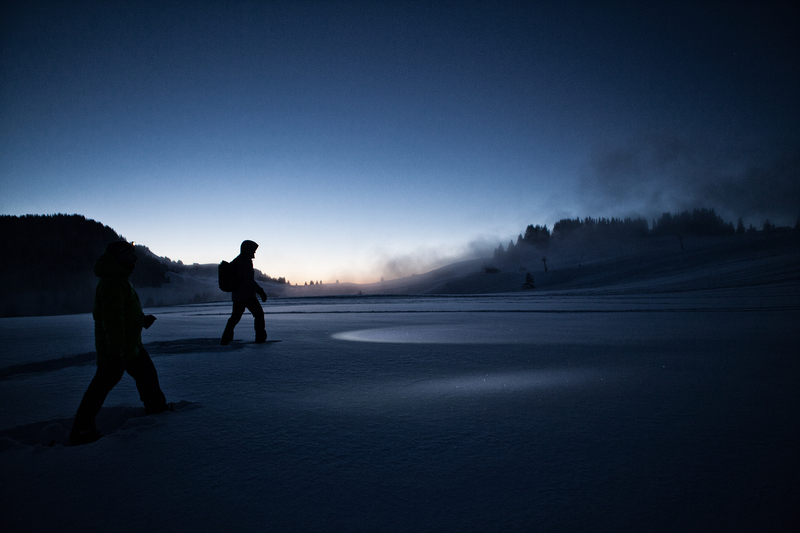 The La Clusaz mountain guides can take you to these places where you can share in the wonder of their beauty. Experience a unique hike and choose a themed excursion for example, to follow the forest animal tracks, to hike along the ridge of the Aravis for outstanding panoramic views or for a nocturnal hike including a delicious Savoyard meal.